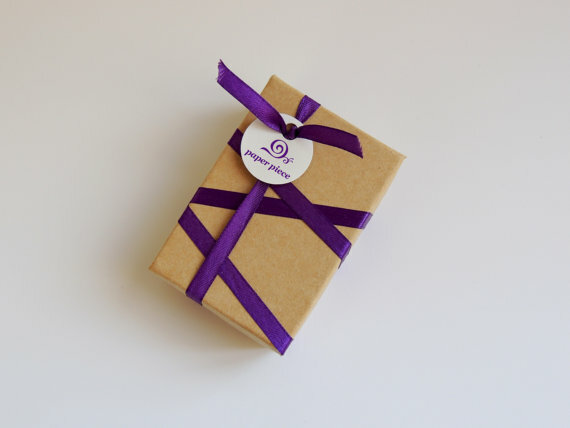 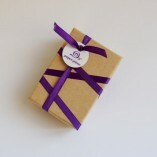 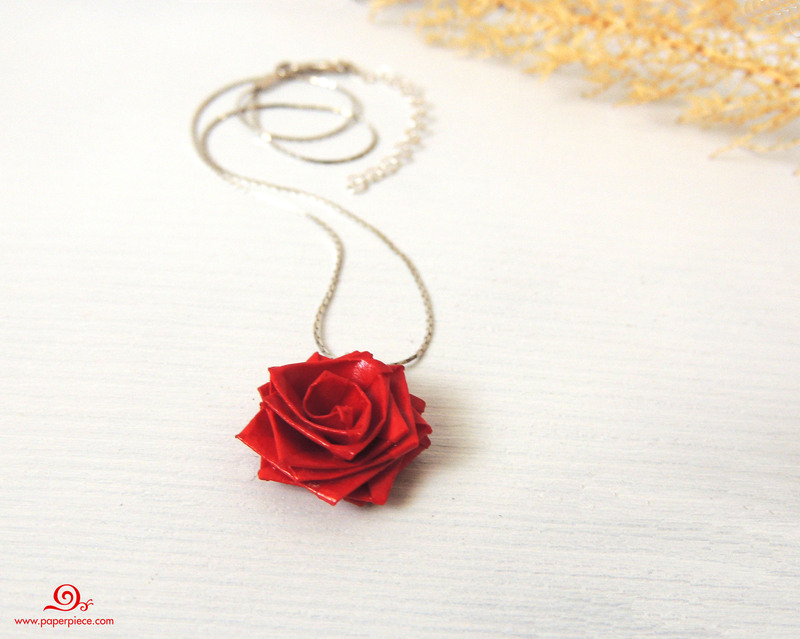 Rose necklace is a vegan eco friendly necklace created from paper and sterling silver using unique filigree technology from Renaissance period. 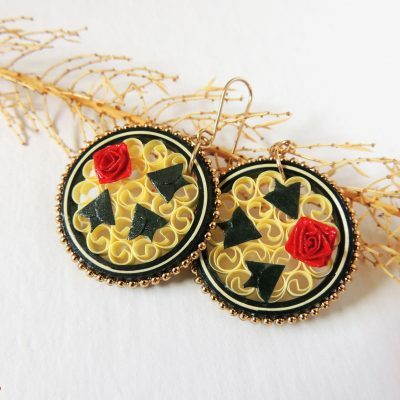 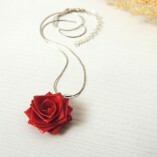 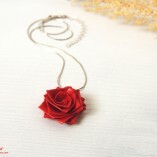 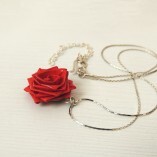 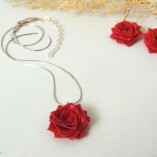 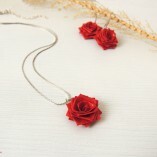 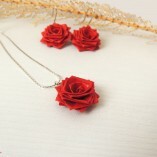 The rose necklace have deep red color and will look beautiful with classic black dress or with jeans and shirt too. 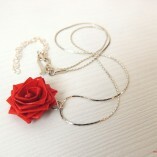 The chain made from sterling silver 925, but can be made from goldfield. 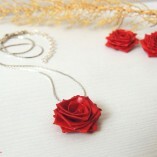 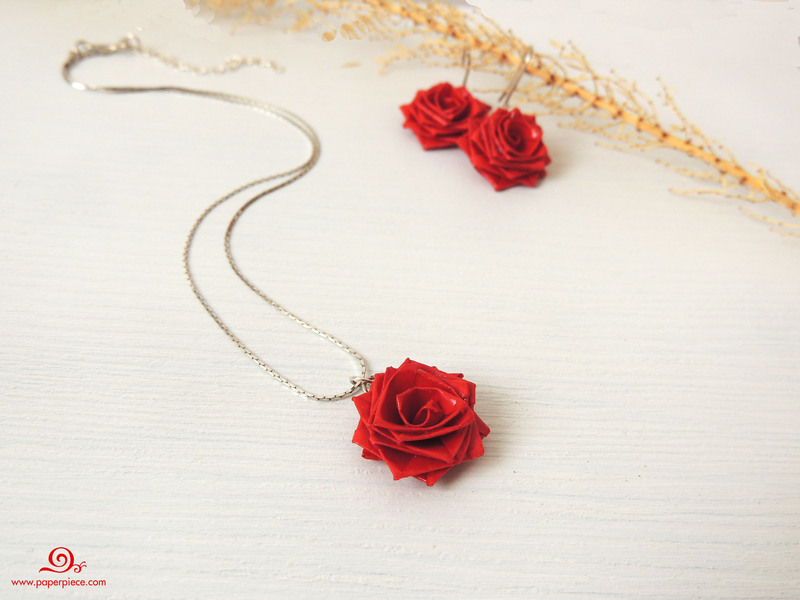 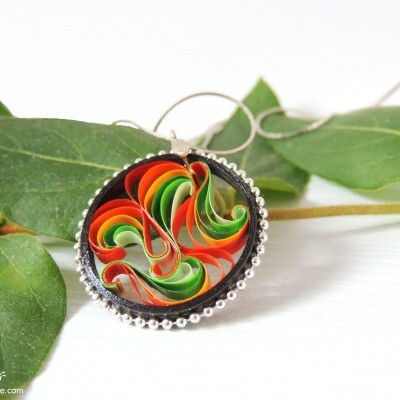 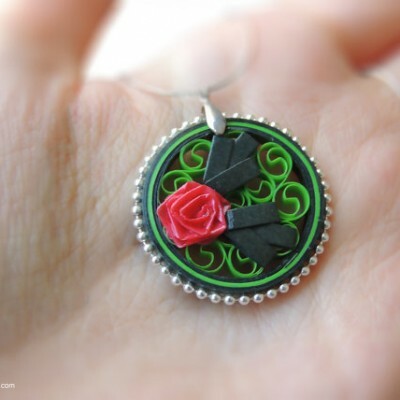 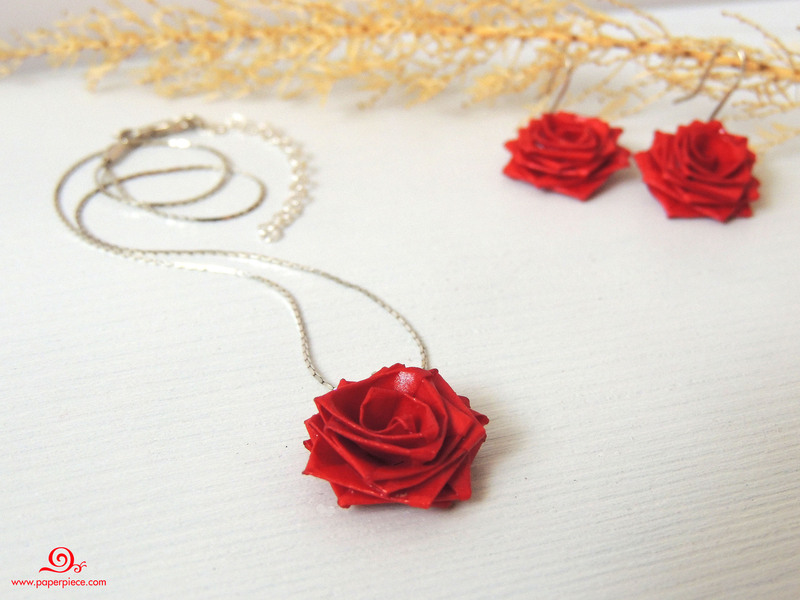 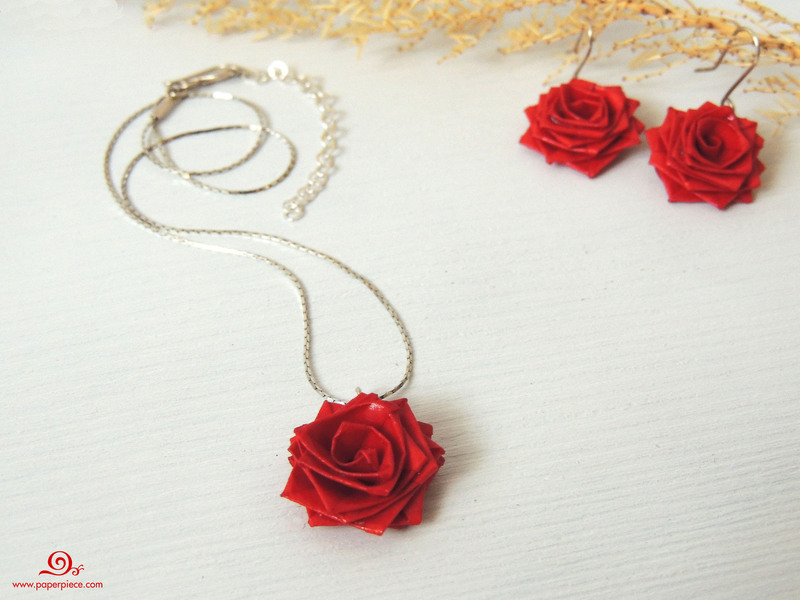 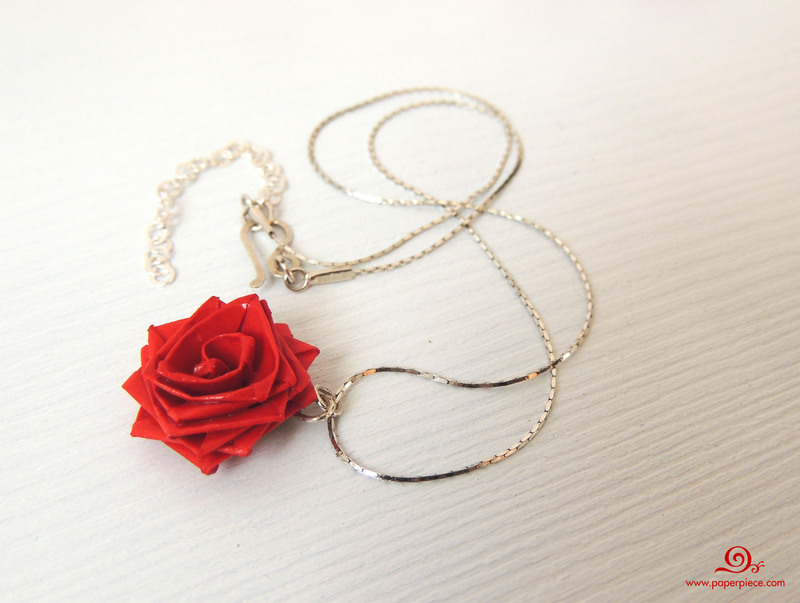 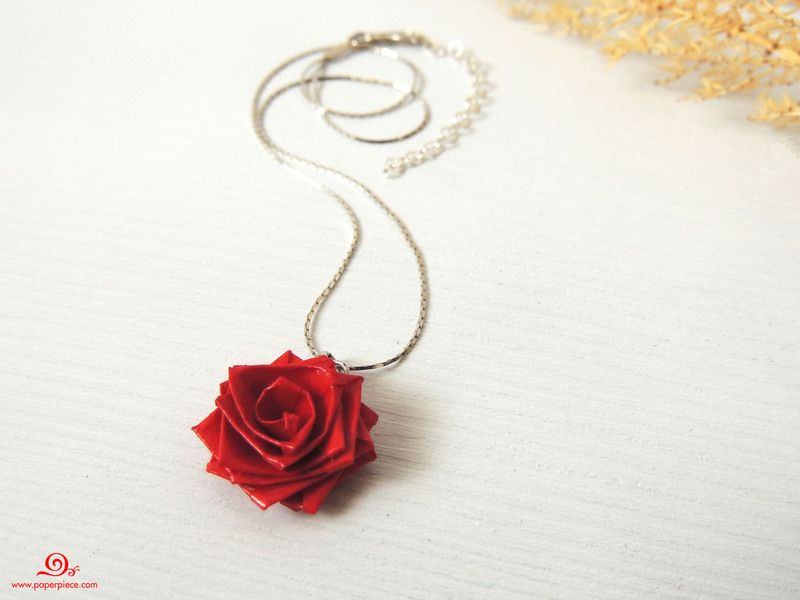 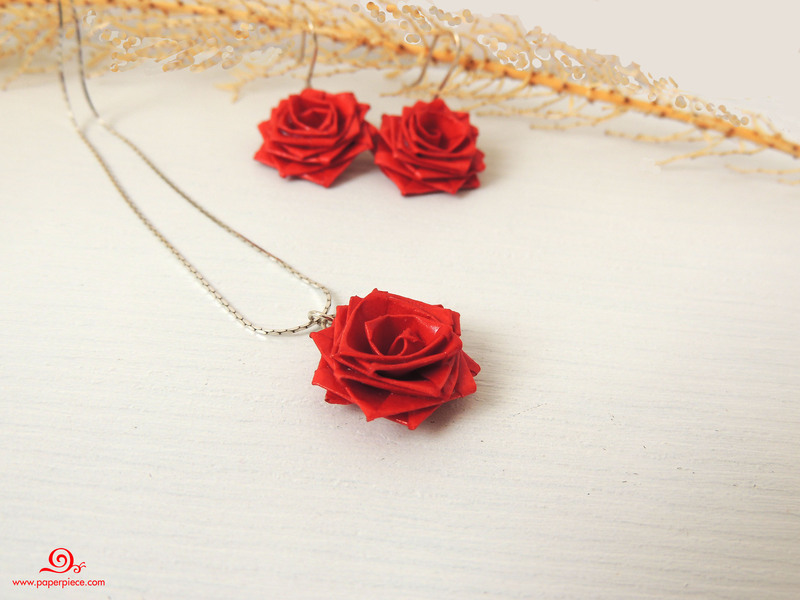 This red rose necklace will be perfect gift for your friend or for yourself. 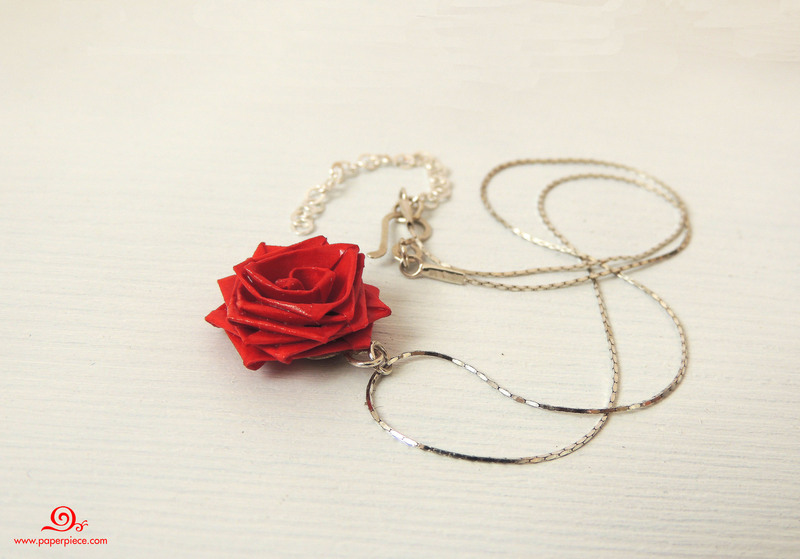 Dimension: diameter – 0.75″, length of chain – 16″.